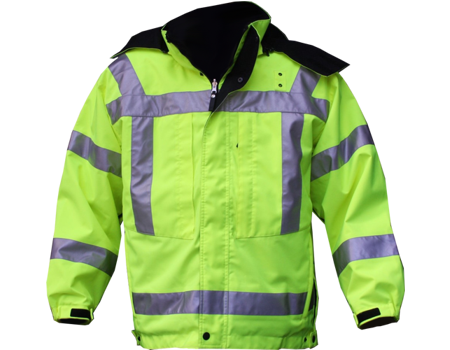 Functions: Reversible for Hi Vis on one side with black or other color of choice on the other. Both sides waterproof-breathable and 100% seam sealed. Design and accents built to look great, and functional panels to ensure comfortable fit and ease of use. Raglan sleeve cut – other option available. Coordinate your image and continue it from year to year as long as you want. Mid-length jackets are standard, with size zips and snap tabs for easy belt access. 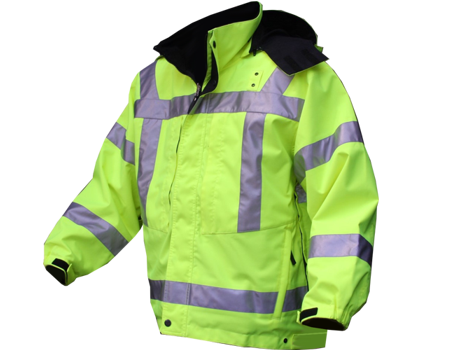 Optional snow/wind cuffs in sleeves and at waist. Soft brush, chin guard (optional). Extra-long front placket pocket that fits a clip board, or hat, etc. Zip-off or attached technical hood that tucks can into collar or stows in rear storage pocket. Other hood options available – call for details. Other options include radio pocket, radio mic tabs, convenient fore-arm pocket, and other well-placed storage pockets. Ventilation zips under arms with mesh. Name-tag Velcro or tabs, and/or badge tab attachment options. Choose what is best for you. Opt to have your patches and badges embroidered and production so they can be seam sealed. (Larger orders only). 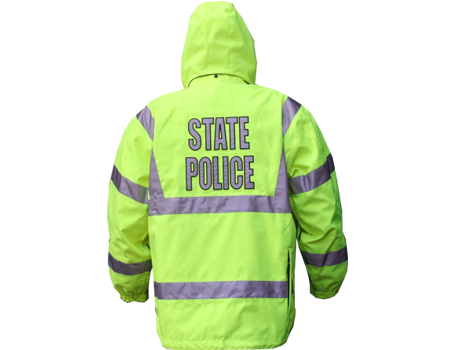 Many Reflective options available for larger groups that want to customize.